We have compiled the most common questions here. And, we will answer each one of them. I am from a non-technical background. Can I learn big data? Do I need to know programming languages such as Java, Python, PHP, etc.? Or, since it is big data, do I need to know any other relational databases such as Oracle or in general do I need to be well versed with SQL? And also, do I need to know the Unix or Linux? 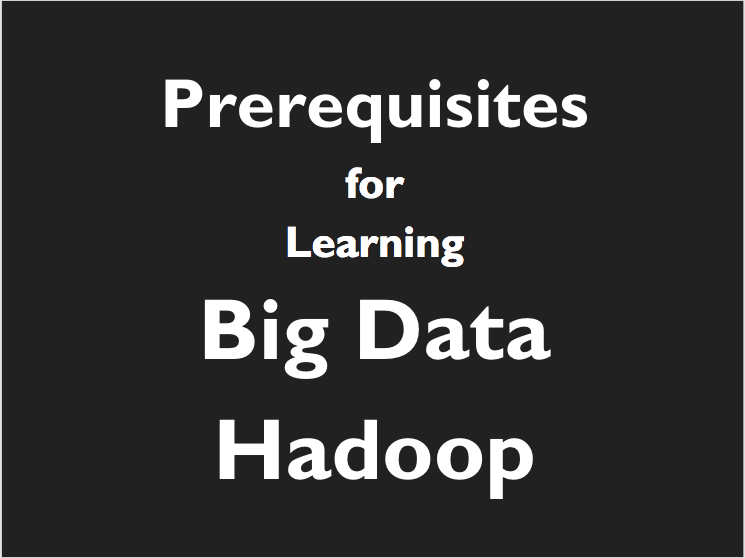 Author Abhinav SinghPosted on August 31, 2018 January 8, 2019 Categories Big Data, GeneralTags big data for beginners, big data hadoop, big data pre-requisites, big data tutorial, how to learn big data, pre-requisites to learn big data4 Comments on What are the pre-requisites to learn big data?